Swami Atmapriyananda, Vice Chancellor, Ramakrishna Mission Vivekananda University (RKMVU), Belur Math, spoke on ‘Concentration (एकाग्रता)’ during the session with the theme ‘Harnessing the Powers of Mind (मन की शक्तियों का दोहन)‘ on 19 October 2013. 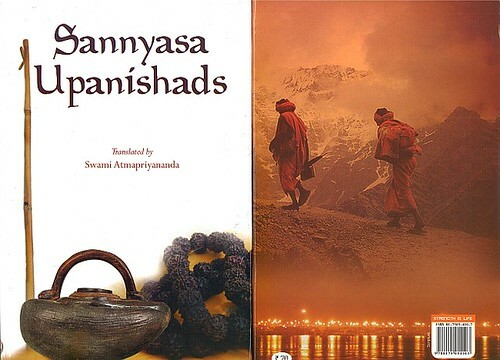 Swami Atmapriyananda received his Ph.D. from the University of Madras in Theoretical Physics and has a number of research publications in reputed international journals. 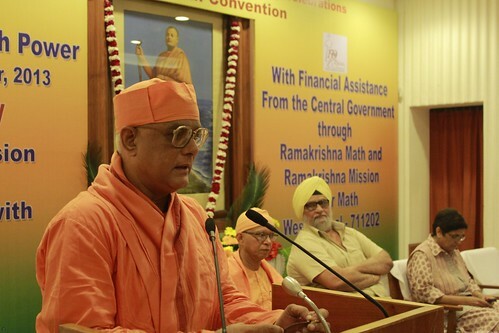 He joined the Ramakrishna Order of monks in 1978 and was posted at the Ramakrishna Mission Vidyamandira where he served as a Physics teacher, the Vice-Principal and the Principal over 19 years before taking charge as Vice Chancellor of Ramakrishna Mission Vivekananda University in July 2005. He has participated in numerous religious and educational seminars, symposia, workshops and conference, both in India and abroad.